Cyclone Promotions are delighted to announce the rescheduled date for the vacant British cruiserweight title fight featuring Cardiff’s undefeated Craig Kennedy and Blackpool’s former British and Commonwealth title challenger Matty Askin, at Motorpoint Arena Cardiff on Friday May 26th, live and exclusive on Channel 5, sponsored by Maxi-Nutrition. TICKETS TO KENNEDY vs ASKIN ARE ON SALE NOW AND ARE PRICED £42 AND £62, AVAILABLE FROM MOTORPOINTARENACARDIFF.CO.UK & WWW.TICKETMASTER.CO.UK OR CALL 029 2022 4488. This vacant British Cruiserweight title fight was originally scheduled for March 11th before Matty Askin was forced to pull out due to ligament damage to his right hand. Now that Askin has been given a clean bill of health the rescheduled fight on Friday May 26th promises to be one of the most entertaining domestic dust‐ups of 2017. What’s more, both Kennedy and Askin are equally confident they can take home the prestigious Lord Lonsdale belt on Friday May 26th. Also featuring on this big night of boxing in Cardiff on Friday May 26th will be one of the hottest prospects in British boxing, Barry’s undefeated British flyweight champion Andrew ‘AC Superstar’ Selby. World-class talent Selby, the younger brother of IBF featherweight king Lee Selby, is on the cusp of joining his sibling at the summit of world boxing. On May 26th at the Motorpoint Arena Cardiff the lightening quick twenty-eight year old Selby will box a highly ranked opponent to be named shortly, and will be looking to make a big statement ahead of a mooted World title tilt later in 2017. In the main-event hometown hero Craig Kennedy will be looking to become only the second Welshman to win the coveted British cruiserweight title when he finally gets his shot against Blackpool’s dangerous Matty Askin on May 26th. Both men will fancy their chances in this intriguing vacant British cruiserweight title bout, with Askin having the edge in terms of experience, while the undefeated Kennedy is carrying some career best form into this vacant British title bout. Cardiff’s Craig Kennedy is not only one of the best cruiserweight’s in the UK, he’s also undoubtedly one of the most popular. The IBF International champ, 16(8) – 0, will hope to benefit from his fanatical home support when he faces off against proven operator Askin on May 26th. 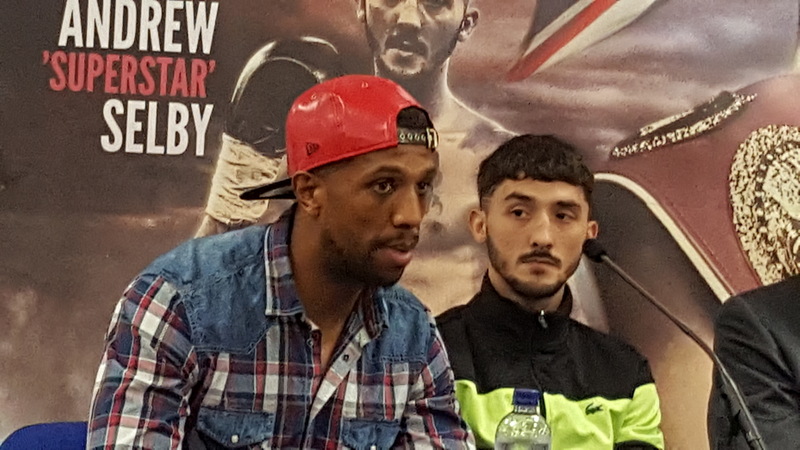 Kennedy’s impressive undefeated record includes victories over Liverpool’s former British and Commonwealth title challenger Courtney Fry and Belgium’s big-punching Joel Tambwe Djeko, both of whom were outpointed by the talented Cardiff boxer, in June 2015 and May 2016 respectively. Askin, 21(13) – 3 – 1, is the current English cruiserweight champion and earned his second shot at the British title with a comprehensive victory over Belfast’s previously undefeated Tommy McCarthy in November. The twenty‐eight year old Askin is currently in the form of his life having soundly beaten two undefeated prospects in his last two contests, with a destructive knockout of Simon Barclay for the English title followed by his aforementioned points victory over McCarthy. The scene is set for a classic British title showdown between two of the best cruiserweight’s in Britain on May 26th at Motorpoint Arena Cardiff. The undercard for Kennedy vs Askin will be packed full of some of the best UK boxing talent. As well as the aforementioned Andrew Selby, Cardiff’s undefeated 2014 Commonwealth Games bronze medalist Nathan ‘Thunder’ Thorley is also set to feature in a six-round international light-heavyweight contest. More undercard announcements will follow shortly. Doors will open at 5.30pm at the Motorpoint Arena Cardiff on Friday May 26th, with boxing commencing at 6pm. BARRY McGUIGAN QUOTE: “I’m so pleased that Cyclone Promotions have managed to get this excellent British title fight rescheduled so quickly. I’ve said it before and I’ll say it again, I think Kennedy vs Askin could be one of the best domestic contests of 2017. It’s so evenly matched and Kennedy and Askin are genuinely the two best fighters in the land at cruiserweight. When this fight was originally made both lads were very respectful but with the delay and rescheduling, and the frustration that goes with that, I believe there will be a bit more needle in the build-up to this brilliant British title fight. Both boxers are incredibly hungry and stylistically well suited, I believe that means the fans at the Motorpoint Arena Cardiff can expect a toe-to-toe battle on May 26th. Channel 5 launched as Britain’s fifth public service channel in March 1997 and has been owned by Viacom International Media Networks since September 2014. Channel 5, 5STAR, 5USA and Spike reach 4 in 5 of the UK viewing public each month with a broad mix of popular content for all the family across entertainment, documentaries, sport, drama from the UK and US, films, reality, comedy, children’s and news. My5 is a new service allowing viewers to watch content online for free from Channel 5, 5STAR, 5USA, and Spike.